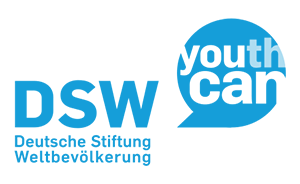 DSW is big on youth and to show this we have teamed up with our partners to bring youth voices to the heart of power in Europe, with our Youth Meet-up 2018! Youth is, after all, right there in our logo! We are committed to the belief that “youth can”, and see the results every day in the projects that we run and support in East Africa – and in the fantastic young men and women that are working hard to change their communities and their countries for the better. As much as we believe in the power of young people to enact real change, sometimes the voices of young people are not always heard in the halls of power – even when decisions are being made that could determine their future. It’s an unsustainable situation, particularly when young people are the world’s largest demographic group, and one whose success or failure will determine whether we achieve the Sustainable Development Goals by 2030. As the world’s largest aid donor, the EU has a particular responsibility to listen to the people who stand to win or lose from Europe’s policies. Yet, there are few opportunities for young people either in Europe or from the Global South to exchange views and learn from another on interlinked challenges such as access to basic social services, including health services, livelihoods and engagement in decision-making processes – the issues that affect their day-to-day lives. So, together with our partners Dance4Life and CHOICE to do something about this. Enter the Youth Meet-Up 2018. Our Youth Meet-up will bring together youth advocates from Europe and the Global South to propose concrete recommendations on the implementation of the Agenda 2030 to European decision-makers. Spending a week in Brussels, they will work together to define what are main issues that they want Europe to address, and how they want Europe’s politicians to deal with them. September 2018 is the perfect time to do this. Elections to the European Parliament will take place in May 2019, and will determine much of the political direction that EU policy will take over the next half decade. Europe’s political groups are getting ready to put their political platforms together, and need to hear from young people from Europe and the global south what they should be doing – or not doing! The week will culminate with a high-level meeting on World Contraception Day – September 26 – when our group of youth advocates will exchange views with MEPs, policy advisors and assistants from the political groups. There, they can start building a platform that will allow them to continue advocating at national level after the Youth Meet-up 2018 and leading up to the elections next year. We will be keeping you posted across our social media channels throughout the week – so be sure to follow us on Twitter (@DSW_intl), Facebook, and Instagram (dsw_intl). On Monday, we are going to introduce you to our fantastic youth champions! Stay tuned!